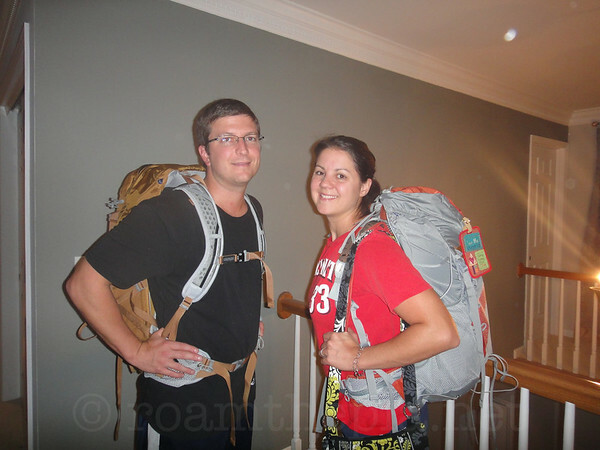 Roam the Planet - What did we pack? 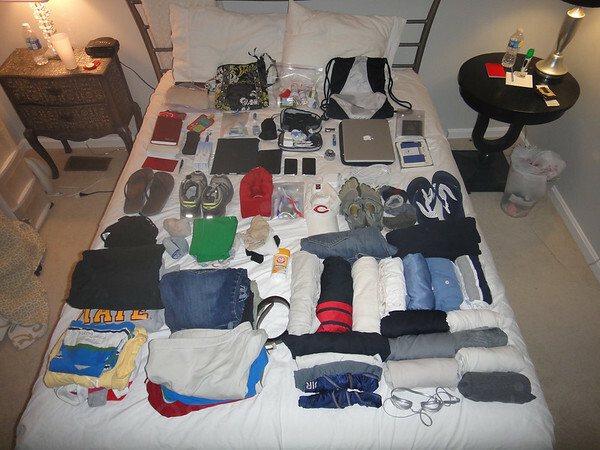 We’ve had a few people ask us what we packed for the trip and how difficult it is to carry our luggage around. We packed pretty light, so its actually quite easy to move around. We’ve even had a few experienced travelers commenting on our light load. 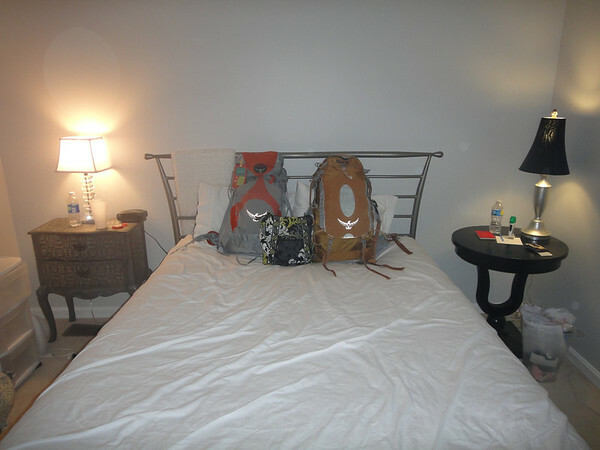 We took a picture before we left of everything that we brought. Here is an itemized list. Its kind of split down the middle of the bed, with Wendy’s items on the left and Dusty’s on the right. From top to bottom. book (the art of non-conformity) – Loved this book! We did end up pulling a few things out of that picture before we left. And here is what we look like carrying it around. They are actually quite light and really easy to use. We love these bags. They are Osprey, check it out if you are looking for one. That’s it! That is what we have for the next ? months. That’s everything we own, aside from a few things still in Cincinnati. Including a 2002 Mazda Protege, which is for sale! Please contact us if you want to look at it. We will keep you updated, as I’m sure we will ditch some more and buy some new.